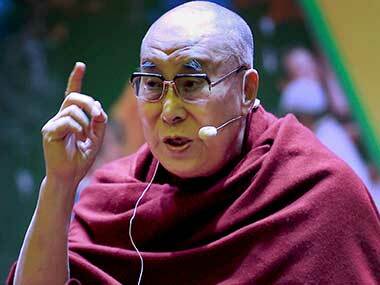 Gaya (Bihar): Bihar chief minister Nitish Kumar on Sunday called on Tibetan spiritual leader the Dalai Lama at Bodh Gaya near Gaya and also released a book with him. 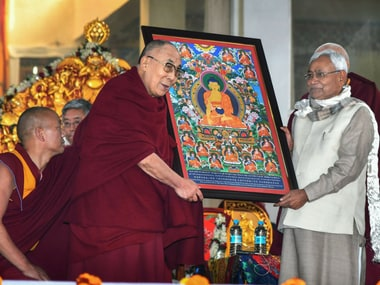 The Dalai Lama, who has been at Bodh Gaya since 2 January, received the chief minister at the Kalachakra Maidan and presented him with a picture of the Buddha and an "Angavastram" (traditional men's attire) as tokens of blessing. Later, they jointly released "Science and Philosophy in the Indian Buddhist Classics" - the first part of a multi-volume edition which explores scientific observations about the material world and the mind found in classical Buddhist treatise. Speaking on the occasion, Nitish lauded the spiritual leader for "introducing Indian youth to the Buddha's scientific thoughts" and said it is a matter of pride for every resident of Bihar that they belong to the land where the Buddha, whose thought has inspired people across the world, had attained enlightenment. Buddha is said to have attained enlightenment at Bodh Gaya more than 2,000 years ago. 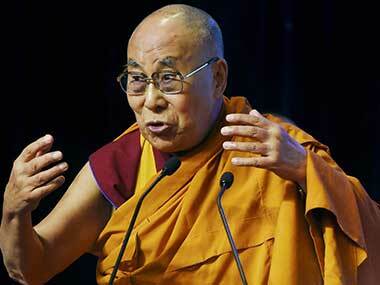 "I feel delighted whenever the Dalai Lama visits Bodh Gaya. His discourses have inspired and transformed a countless number of people. 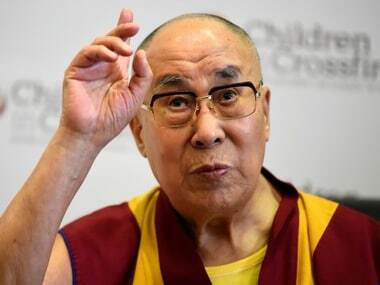 I am hopeful that this new book, which has been compiled under his supervision, will serve as an inspiration for promoting peace in the world," Kumar said. The Bihar chief minister also said his government's motto of "nyay ke saath vikas" (progress with justice) was a development model in which equal attention was paid to the needs of humans as well as the ecosystem. Later, Kumar visited the Maha Bodhi temple, built at the very spot where the Buddha is said to have attained enlightenment, and inaugurated a newly-constructed boundary wall of the complex. Kumar also prayed at the temple and the Bodhi tree, where Buddha is said to have meditated. He also asked the district administration and the Maha Bodhi Temple Management Committee to take steps for the beautification of the surrounding area.